Can you imagine a Parisian metro entrance in Moscow or Big Ben in Siberia? Entrance to Kievskaya underground station styled as Paris metro. Since 2006, Moscow has had its own “gateway” to the capital of France. One of the entrances to Kievskaya metro station was built by French architects in a style resembling that of architect Hector Guimard. You can easily find it near the Evropeysky shopping mall, and it really does look like an exit to a Parisian street. 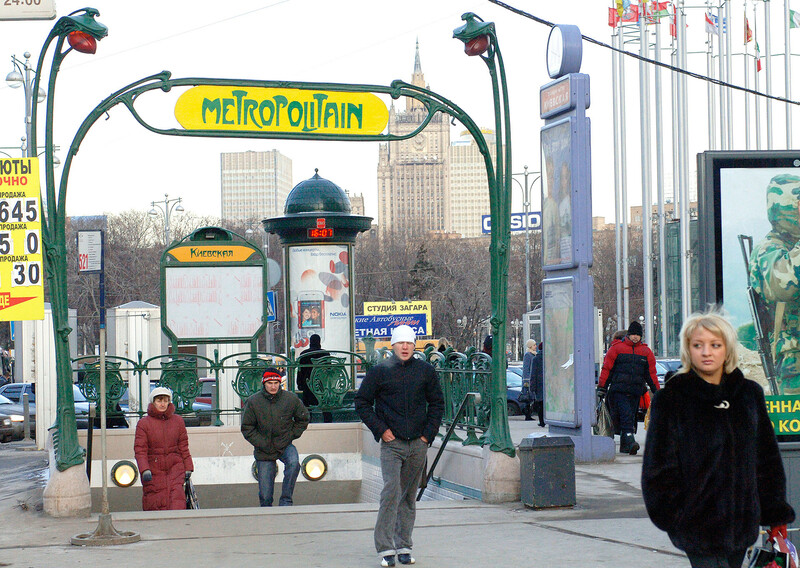 In 2009, a Moscow-themed metro entrance appeared in Paris as well. It was decorated with a stained glass window depicting a Russian fairy tale character named Ryaba the Chicken. 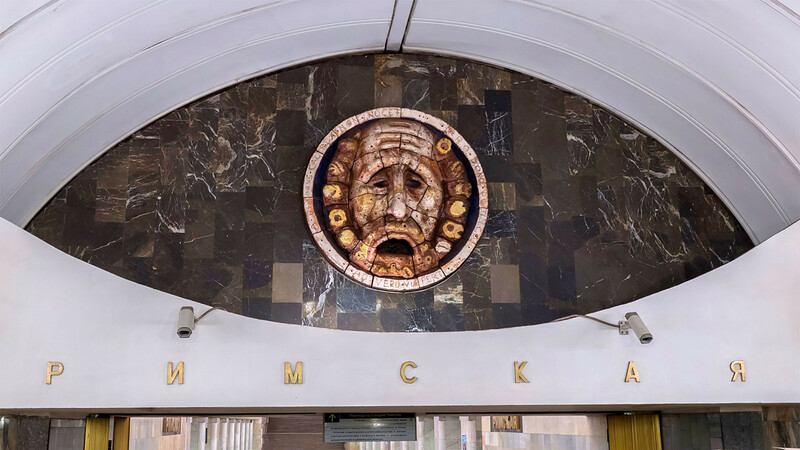 The ancient marble mask in Rome’s Santa Maria in Cosmedin church has a twin in a Moscow metro station. Rimskaya (on the light green line), which was named in honor of the Eternal City, was decorated in collaboration with Italian architects. You can find Madonna Litta and the Capitoline Wolf at the station as well. Parizh (Paris) village in Nagaibaksky area, Chelyabinsk region. 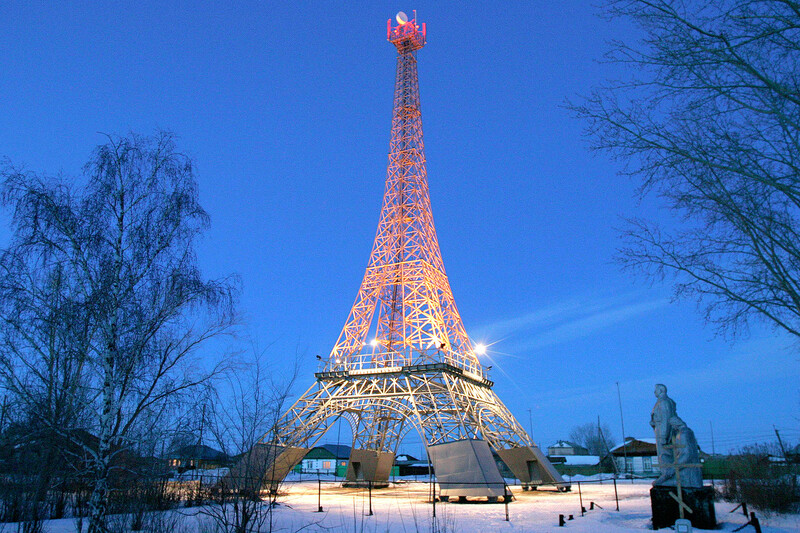 Russia’s own Eiffel Tower is located in Paris too. The only difference is that this Paris is just a tiny village in the Urals. The attraction originally showed up here in 2005. It was constructed by a cell phone carrier and is now used to provide mobile coverage in the village. 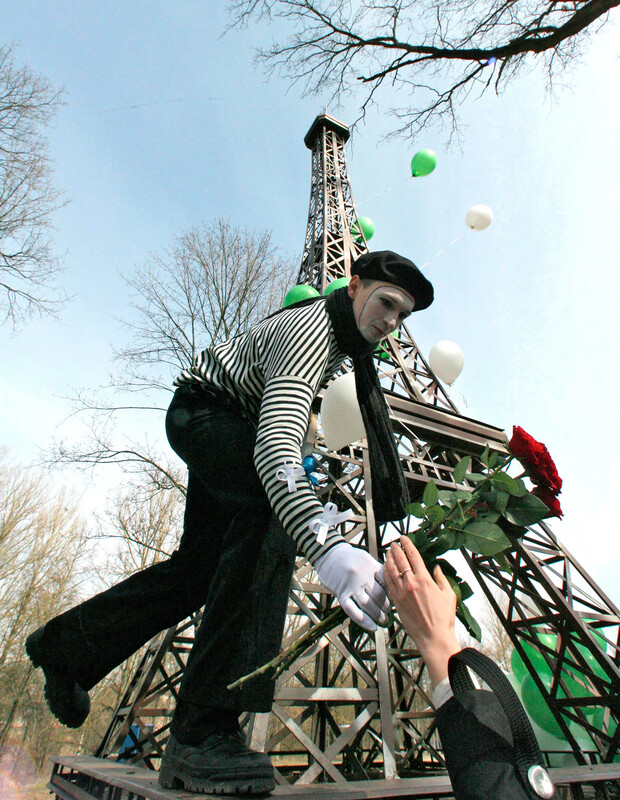 Outdoor festivities to mark the 120th anniversary of the Eiffel Tower near its 8-meter-tall copy in the town park of Gusev, Kaliningrad Region. A small eight-meter copy of the Eiffel Tower made out of forged iron was installed to mark the 120th anniversary of the original Eiffel Tower. The tower immediately became a tourist magnet in the city of Gusev, not far from Kaliningrad. 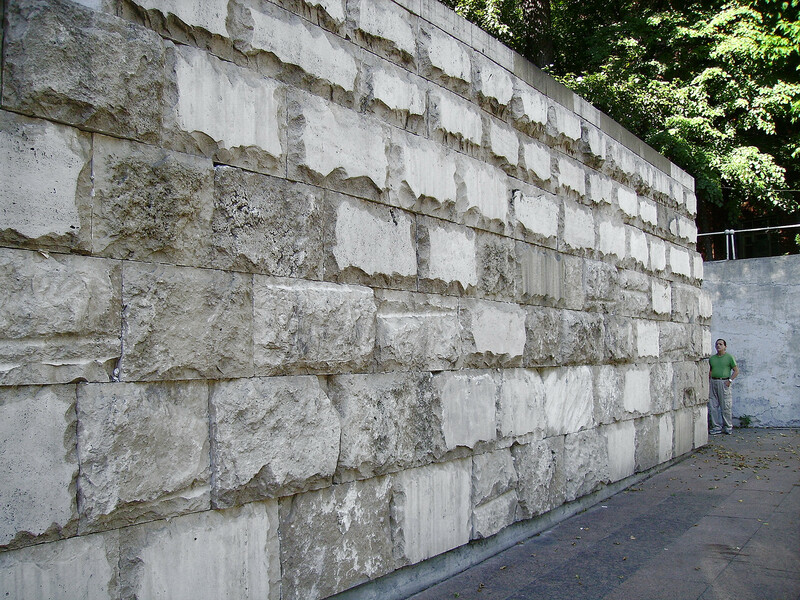 The Russian copy of the Western Wall. The Russian copy Jerusalem’s famous shrine is located in front of the Moscow Choral Synagogue on Bolshoi Spasogliniscshevsky Lane. At 15 meters long and three meters high, this one is just a small fraction of the original in terms of its size, but many believers still leave notes with prayers and wishes on the wall. Surgut school of foreign languages. 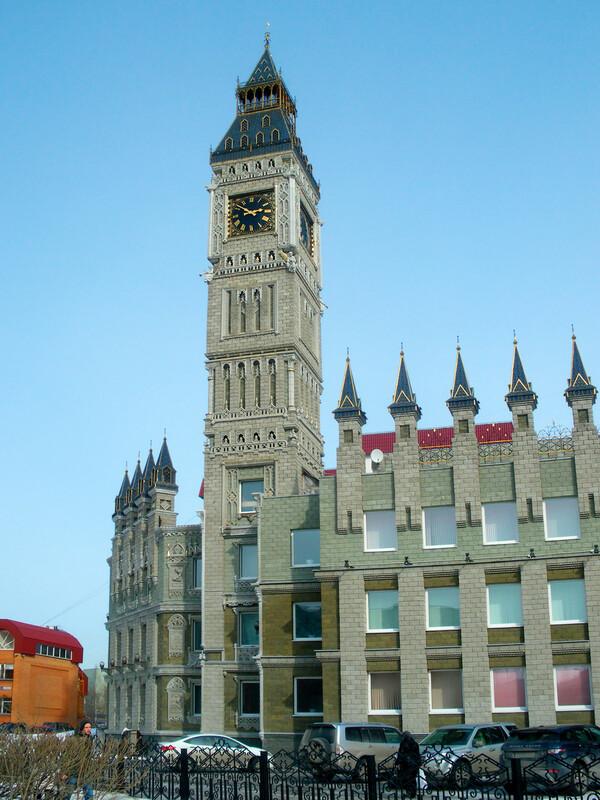 Although not many residents of the Siberian city of Surgut have ever been to London, all of them can enjoy their own copy of Big Ben every day. The building, which was erected in 2004, houses a local school of foreign languages. It’s not an exact replica—for instance, the clock itself is three times smaller than the original. But it still looks very much like London’s most famous landmark. The Brugge Embankment by Malaya Kokshaga river in Yoshkar-Ola. 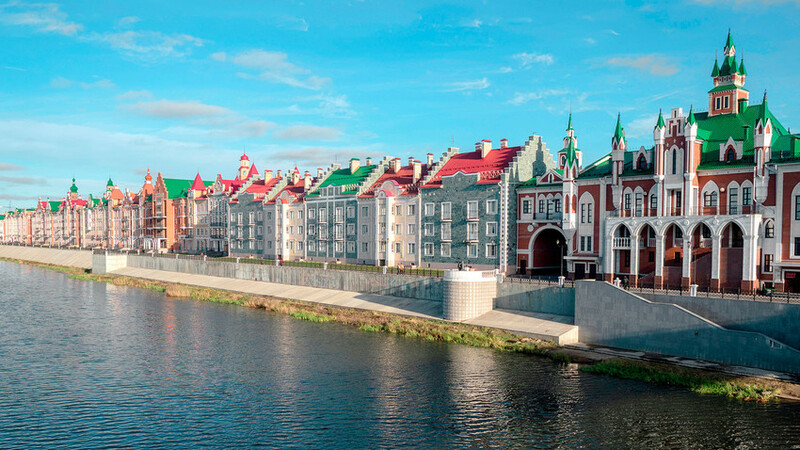 The embankment in the city of Yoshkar-Ola is home to a number of beautiful Flemish style buildings. These buildings house ministries, municipal agencies and other official institutions. You can find some other interesting things here too, such as monuments to Grace Kelly and Rainier III, Prince of Monaco. There is also a copy of the Tsar Cannon, which, like the original, has never been fired. A private kindergarten news Moscow. It seems like the architects of the structure drew their inspiration from many sources, although the famous German castle is clearly the main one. 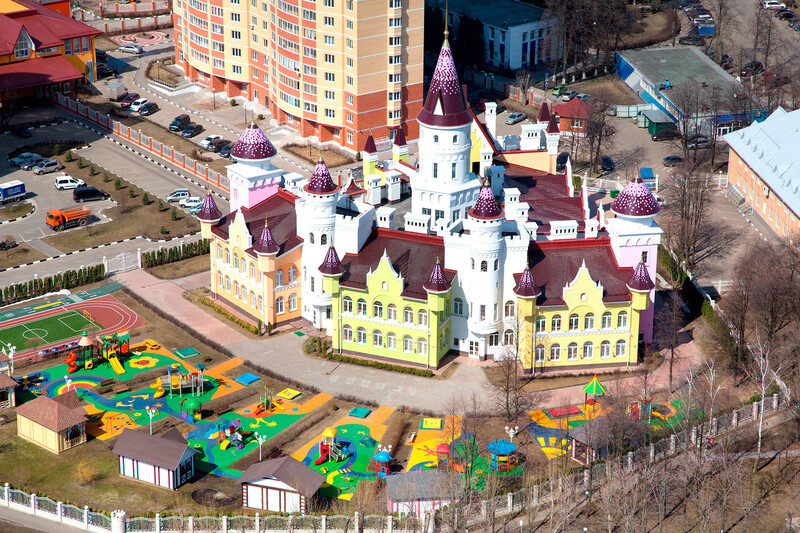 It functions as a private kindergarten and was opened in the Lenin Sovkhoz near Moscow in 2013. It can accommodate 150 children on its 6,000 square meters of space. So how much, you might be wondering, does it cost to send to send your kid there? According to the local media, no more than at a regular state kindergarten. Monument to Miguel de Cervantes. 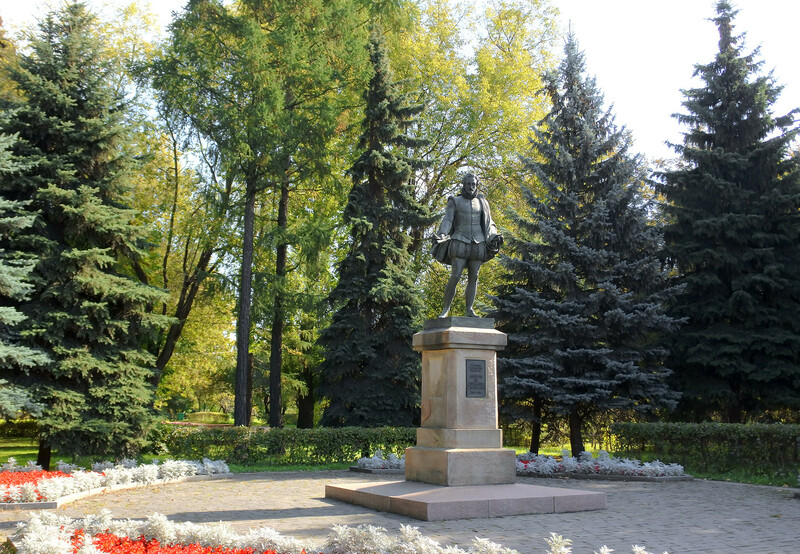 This monument to the great Spanish writer is located in Moscow’s Druzhba (Friendship) Park in Moscow and was unveiled in 1981. It is a copy of the monument by Antonio Zolla, erected in Madrid in 1835, but the Russian Cervantes is missing his rapier: He lost it in fight with vandals. 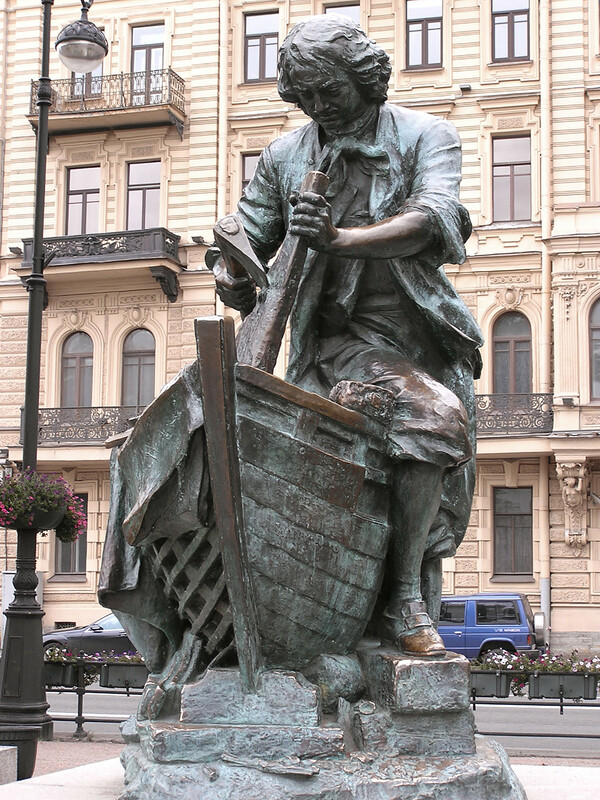 The monument to Peter the Great that now stands on the Admiralty Embankment in St. Petersburg is a copy of a monument located in the Dutch city of Zaandam, which is where Peter the Great learned the craft of shipbuilding 300 years ago. The first monument to the Tsar Carpenter was presented in St. Petersburg in 1910 to mark the bicentenary of the Battle of Poltava. In 1911, Russia’s last emperor, Nicholas II, presented a copy of this monument to Zaandam as a gift, but the Russian monument was lost after the 1917 Revolution. Nevertheless, in 1996, years after the collapse of the Soviet Union, the government of the Netherlands solemnly presented a copy of its own Peter the Great to the city of St. Petersburg. What a surprising twist of fate.